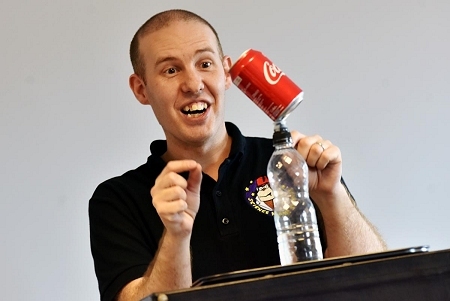 Science Magician Dr Matt Pritchard is a Curator of Wonder. His shows bring gasps of amazement, thought provoking ideas and memorable teaching. He inspires audiences to both enlarge their thinking and their dreams. "A glorious blend of showmanship and science." "He enthused, motivated and inspired every child in the school." Sign up now for the monthly email containing magical teaching ideas.